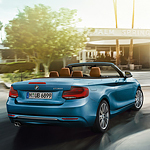 What Kind of Suspension System Comes Standard in the BMW 2 Series? The suspension system of a vehicle is a primary contributor to the ride felt by occupants. The suspension raises the frame above the wheels and allows springs, hydraulic pumps, and multiple arm configurations to absorb the bumps that exist on even the smoothest of roads in Naples, FL. 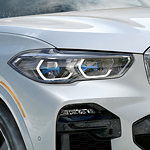 Have you seen the latest from BMW’s compact SUV lineup? The BMW X3 is all new with a complete redesign that pumped up the power on its base engine and added lots of new features inside. The latest trim features a base horsepower of 245, but you can find options that will take that up to 350 horsepower. A new trim was also unveiled for those who want more power from their SUVs, which includes the rear-wheel drive sDrive 30i trim. 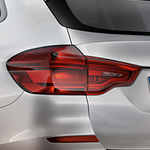 There are a ton of new technology features in the latest X3 model. Are You In Need Of A Sport Activity Vehicle? Choosing a vehicle for budgetary reasons is the reality for many people, but if it wasn't, then what type of vehicle would you be looking for? Would performance, design, or capability top the lists of things that mean the most to you in a vehicle? If you are looking for a vehicle that meets the needs of most drivers but that also includes luxury and class, then you may be looking for the BMW X5. At Germain BMW of Naples, we're always looking out for our customers. We're proud to say that BMW offers a complimentary Road Hazard Tire Coverage on eligible models. This coverage can get you back on the road whenever you run into tire damage, and you can take advantage of the free service for one full year after purchase. 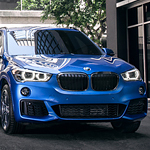 BMW's entry into the luxury subcompact sports activity vehicle class is the sleek and stylish X1 Series. Designed for work or play, it's an appealing mix of comfort in the cabin and rugged performance under the hood. A car cover is a fantastic way to keep your car looking as new as possible. At Germain BMW of Naples we recommend covers to the community to combat the sun, weather, and scratches. You never know when you will see a ding or scratch that you could've prevented by covering your vehicle! Most of us love nothing better than a warm sunny day, especially if we have outdoor plans. We often overlook the dangers of driving in the sun, but we at Germain BMW of Naples want you to enjoy the sun but still be safe while driving. There are several things you can do to help minimize the danger of driving in the sun or to reduce the glare. Allow us to offer some tips. • Always make sure your windshield is clean and free from cracks. • Use the sun visor. • Use your headlights for better visibility. 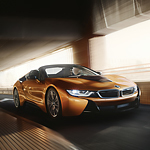 The first selection out of the BMW i models is the i8 coupe, which also comes in sedan form. This vehicle comes in a standard orange or gray, and it is equipped with the highest level of navigation and other gadgets. What really makes the i8 model special is that both cars drive on electricity. There is also gas in case the driver wants to switch between the two. Some people look for vehicles that are versatile. 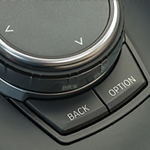 For one thing, there are huge possibilities on the types of features that can be put into the vehicle. We look for some of the most feature based vehicles for Germain BMW of Naples. The X Models from BMW are great examples of vehicles with good features.